In 1991 I composed the soundtrack for a short film by Toronto director James Stewart. It was the first opportunity I had to collaborate in this medium, and my first experience composing music to time code. The film, which was without dialogue, featured two teenaged actors portraying young lovers cavorting through a late-night cityscape. My intention was to create a miniature tone poem reflecting the ambiguities of adolescent relationships and the energy of an urban environment. Stewart titled his film Prisoners of the Image Factory, and I kept the same title for my piece. The music was scored originally for piano, marimba, vibraphone, glockenspiel and steel pans. I created the soundtrack in a studio by overdubbing all of the parts myself. The score was expanded and reorchestrated during August 1992 in response to a request from Toronto’s Arraymusic for a piece to feature the percussionists Beverley Johnston and Rick Sacks. 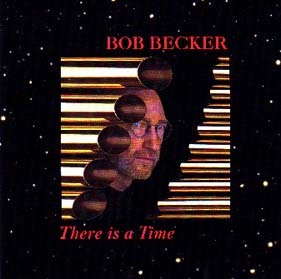 Prisoners of the Image Factory is included on the CD There is a Time, released in 1994. In 1994 I came upon an extended narrative poem by the Canadian writer and artist Sandra Meigs. The rather horrifying text, which describes a young mother accidentally dropping her baby into a river, is written in a straightforward manner with a repeated refrain, intensifying the imagery. I immediately imagined the words as lyrics, and felt a strange connection with broken-hearted songs typical of country-western music. Although I wasn’t interested in writing a song in that sense, I wanted to explore the theme and variations development suggested by the poem. My composition, Cryin’ Time, is scored for soprano solo, vibraphone, marimba and piano, and is published by KPP. The recording was made in Toronto and features the Canadian soprano Barbara Hannigan, marimbist Christopher Norton, pianist Nikki Stoia, and me on vibes. It is included on Chris Norton’s CD titled Christopher Norton – Creston Concertino. While a college student I discovered the work of American author Conrad Aiken, and became enamored of his distinctive poetry. During 1996/97 I selected and edited a large amount of text drawn from Aiken’s extended work Time in the Rock (subtitled Preludes to Definition), comprised of 96 individual poems. A year later I began an extensive project, still ongoing, to set this material in various musical formats. The first result was Never in Word, composed in Toronto during July/August 1998. It is scored for soprano, piano, marimba, vibraphone, glockenspiel and crotales, and is published by KPP. The lyrics are the complete poem number eighty-three in the Time in the Rock series (none of these poems is titled individually). Included below is the poem itself, as well as a brief analysis of the musical structure. with no recourse to rhyme! The piece begins in a very fast tempo, which is maintained until the palindromic line in the second stanza: “time in change and change in time”, when the tempo shifts to a somewhat slower pace. Two places in the poem suggest extended musical development. The first is after the last line of the initial stanza: “but music heard”. There is no punctuation following the word heard, even though the first word of the succeeding stanza is capitalized. It is as if the poet pauses here momentarily to listen, perhaps to some imagined music. This section of the piece is purely instrumental – the singer is tacet. The second development occurs after the last line of the fifth stanza (the very end of the poem): “never in word”. This time the development includes vocalise – wordless singing. The piece ends with a return to the fast tempo and opening material, played by the instruments alone. The following recording is from an archival tape made with a single microphone at the premiere, which was part of the 1999 Faculty Artist Series at the University of Toronto. The performers are soprano Barbara Hannigan, pianist John Hawkins, marimbist Christopher Norton, percussionist Ryan Scott (playing glockenspiel and crotales), and me on vibraphone. It’s a live concert recording, and there is fifteen seconds of silence before the music begins.